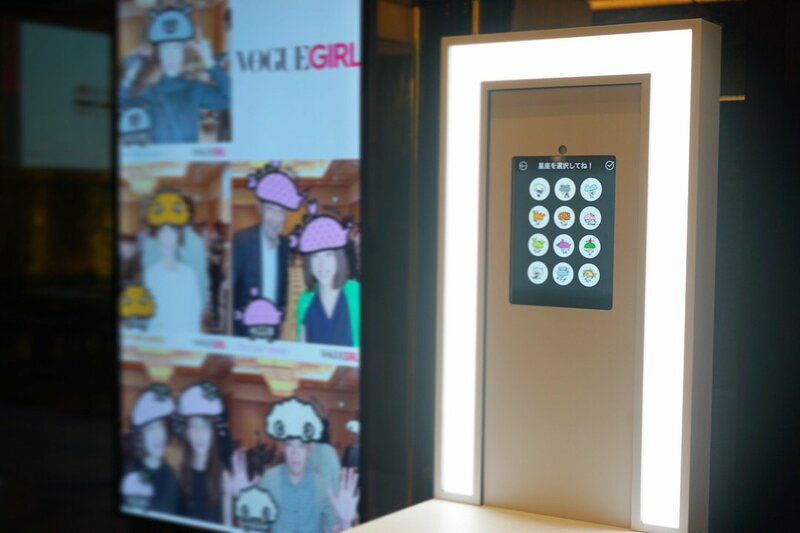 SnSnap recently supplied a “#MirrorSnap” unit for use at a media presentation by “VOGUE GIRL” – an online magazine operated by Conde Nast Japan. 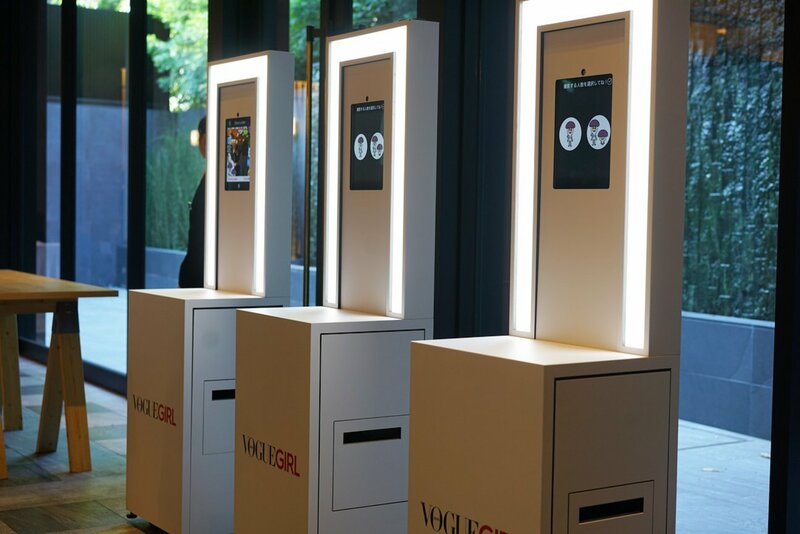 The machine used on that occasion is equipped an original frame designed in the mode of “Shiitake Urinal,” a horoscope feature that currently enjoys great popularity at VOGUE GIRL. 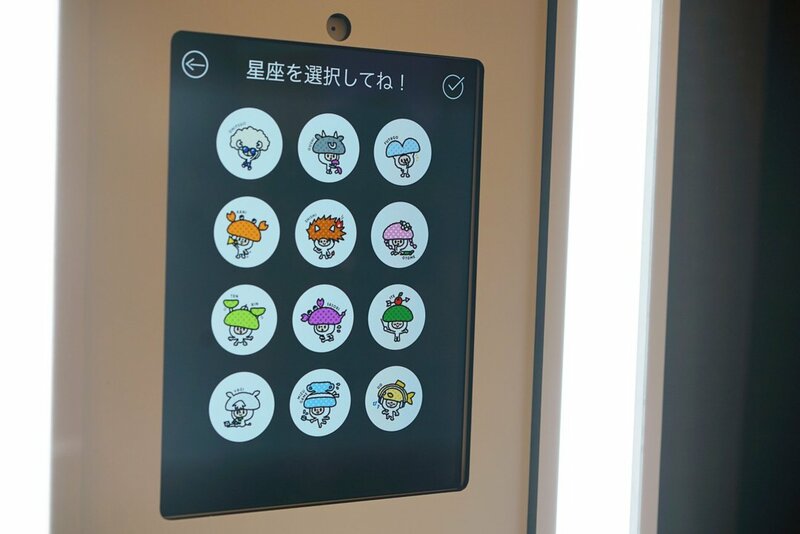 This unit has a special facial recognition function in which users choose their own astrological sign from among cute characters representing all 12 of the zodiac images, and are then personally transformed into the selected character. Opting for the group-shot frame, meanwhile, enables photos to be taken in an even more captivating format in which all 12 sign characters congregate at once. This feature proved extremely popular at the media event, with visitors delighting in the unique sensation of being made over into their own zodiac sign character. 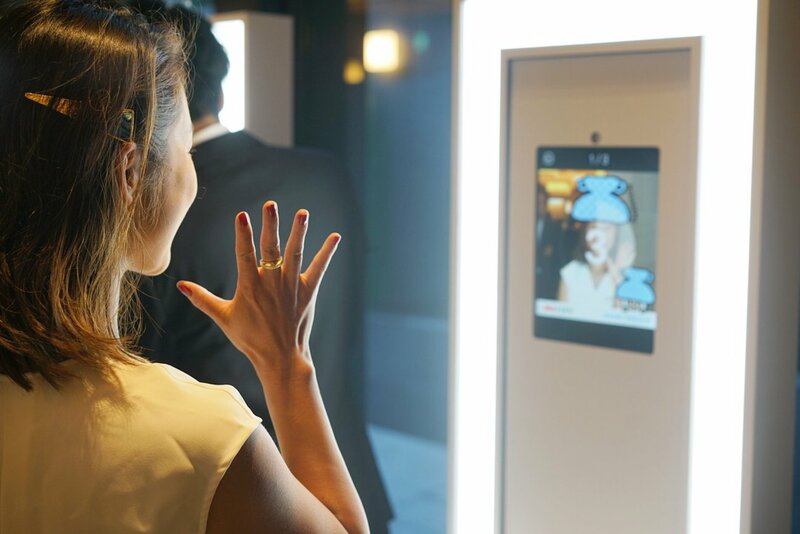 To fully explain the contents, meanwhile, large-size signage was installed right alongside the #MirrorSnap machine in an effort to draw further attention to the unit.